I want to start this review with the blurb, which is the very first thing I heard about this book and the very reason I wanted to read it in the first place. 'It's the accident season, the same time every year. Bones break, skin tears, bruises bloom. The accident season has been part of seventeen-year-old Cara's life for as long as she can remember: a month of mysterious injuries and tragedies, which casts a constant shadow over Cara and her family. This year, the accident season will break more than just bones. Because Cara is starting to ask questions - and all her family's secrets will rise to the surface. So if that isn't enough to intrigue you, I don't know what will be. I am not a fan of horror films or thrillers because I am prone to jumping out of my skin. Books however don't rely on gimmicks to involve the reader - just pure enigma. 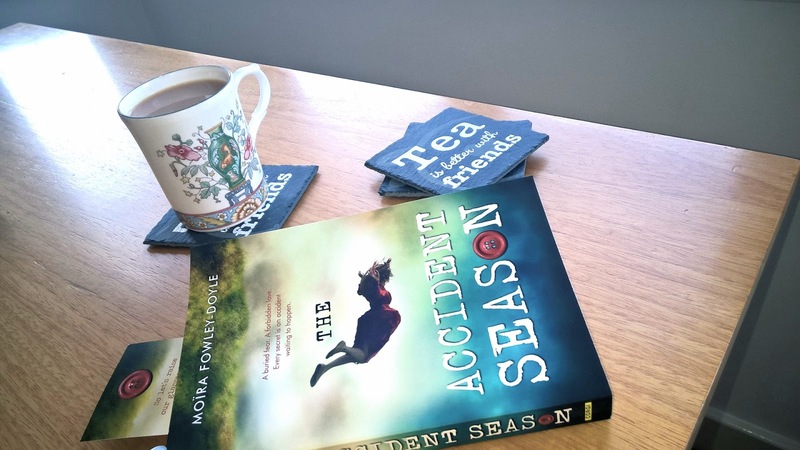 'The Accident Season' is actually targeted below my age range so it is an easy read which is exactly what I want at the minute! Don't disregard this if you are not a young adult however, the story definitely kept me hooked. We're introduced to Cara and the majority of the book is told from her point of view. She seems to be the epitome of a teenager struggling to come to terms with certain aspects of her life and I guess in this way, we see a coming of age story. From her relationships between her family, her brother and her best friend we're met with a lot more than meets the eye. The story is a very slow burner, which kept me guessing up until the end. There's moments of fantasy worlds of ghosts and ghouls followed by the cold, hard reality and I loved that juxtaposition. The characters are really varied which makes at least one of them a little relatable (except maybe Bea, I am most definitely not a Bea!). There are lots of layers to this story which is one of the reasons I can claim it as fantastic. Other than the mysterious accident season, the underlying narratives become apparent and those I actually find more compelling. Also, any good story needs a great ending and this one certainly didn't disappoint. Definitely give this a read if the blurb sounds like your cup of tea - it was certainly mine. Check out the trailer here and buy your copy on Amazon. Have you read 'The Accident season' yet? This book was sent to me for review. All opinions are not influenced and my own as I only read the books I like the sound of and this was bloody marvellous.